What Features Do You Want in an LED Puck? Underworld: Evolution features hockey-puck-sized bombs that click open, disperse visible vapor, and then blow up real good. Why should the destructive guys have all the fun? I’m inspired to make design an LED puck, for special-purpose lighting. Power goes out and you need to enough light to shut down the UPS-protected computers? LED puck. Camping and you need to find your gear inside your tent? Puck. Kidnapped and locked inside a trunk? Puck. (Also “cocktail party,” but that’s a different movie.) It’s dark and you want to show off a cool gizmo? Puck! My friend Joel can help me cast it in clear resin to protect the LEDs — but casting it in resin makes it harder to tweak later, so I’d like to get the feature set right on the first try. What would make for a cool LED puck? Here’s my list. 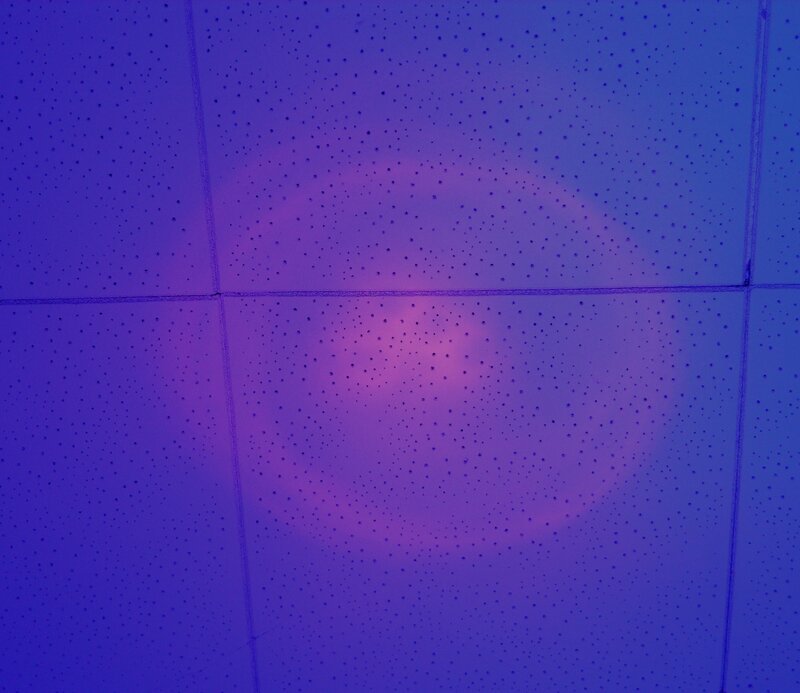 Fairly even light dispersion through a hemispherical pattern. 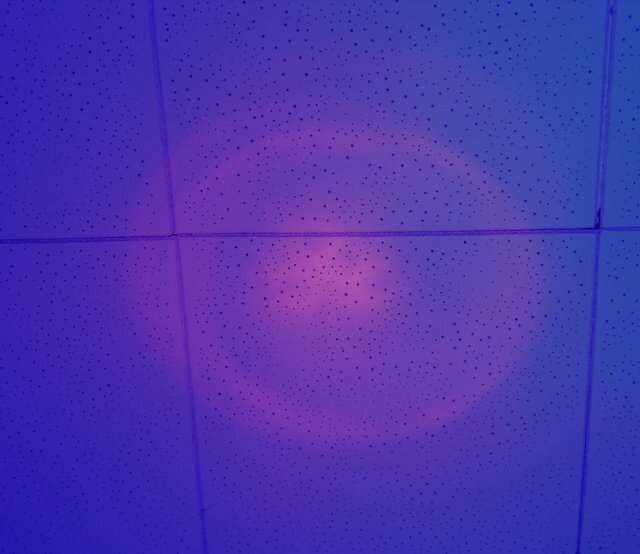 That is, it illuminates the room, not just the ceiling. Enough light to read by at 5′. 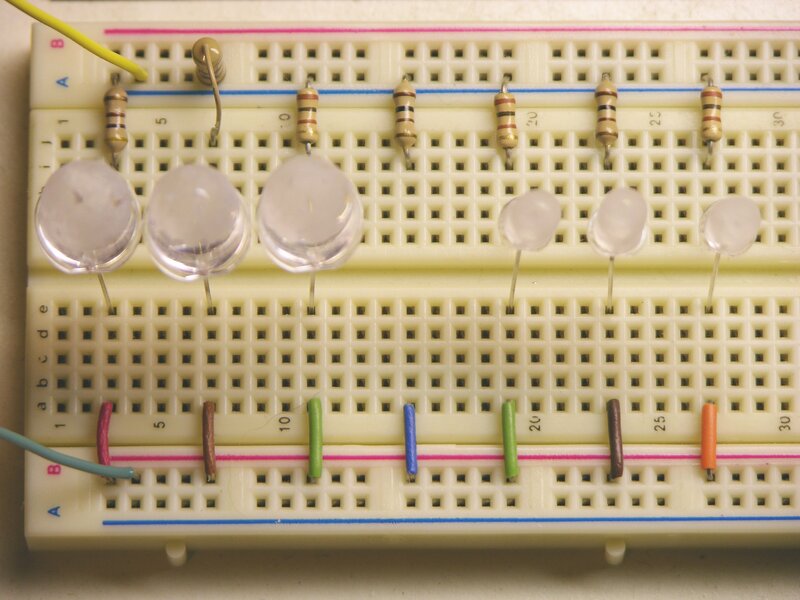 Can use “Joule thief” technology to use all of an alkaline. Hardy enough to toss around. Like the bombs. Jack for (wired) remote on/off control. (Increases flexibility to use as something other than a lantern. Wireless, addressible remote control. Can control multiple pucks individually. Keyfob. Choop-choop sound. Okay, forget the choop-choop. I found it up in the garage attic, where I suspected it would be. 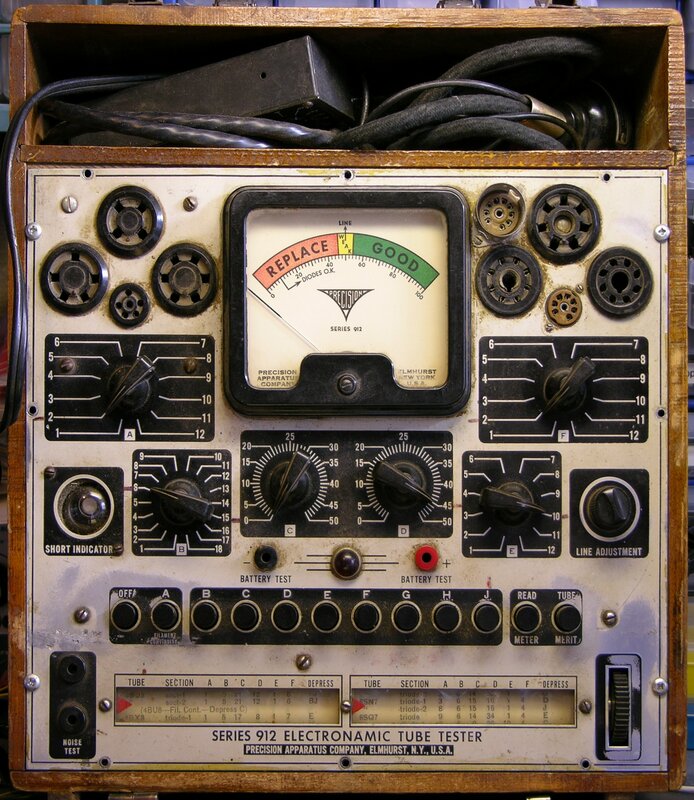 It’s a Precision Series 912 Electronamic Tube Tester from my uncle’s auction. I found a manual for it online at http://www.geocities.com/precision_testers@sbcglobal.net/. It’s a scan and occasionally a bit hard to read, so I’ve rekeyed the four pages of text and posted it here. 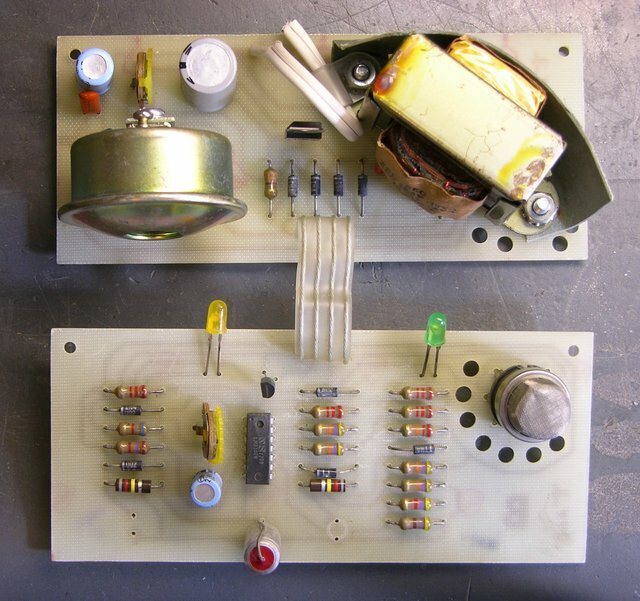 The last page of the original is a schematic showing that the tester comprises a many-tapped transformer and a bunch of selector switches to different socket pins. Between the instructions and the schematic, I’ve come to the conclusion that this tester is pretty much a filament continuity tester, and little more. What kind of tester would I need if I wanted to test tubes quantitatively to put together matched pairs? Pointers to eBay auctions for <= $30 welcome. It’s not polarized, and both leads are fused. Today we’d think of that as a great way to inadvertently open the neutral connection and make the whole device hot, but I suppose it made sense at the time. Today my boss mentioned a gas leak scare at his home (the service company found a slightly loose exterior fitting that happened to be near a vent in the side of the house), and I took the opportunity to ask whether he was still interested in a gas detector for the trailer at the farm. Nay. They have a new trailer, and the old one leaks water (as well, presumably, as gas), and they don’t use the old one any more. So I probably won’t go any further with my flammable gas detector project. But it was still enjoyable figuring out as much as I did. I still use my Handspring Visor Prism PDA for my calendar, contacts, and some notes and lists. I like the Windows version of the Palm Desktop better than any other calendaring application I’ve seen (way better than iCal), which results in my having a low-end PC under my desk running Palm Desktop, and Synergy to use one keyboard and mouse across my two Mac monitors and one Windows monitor. And I like the color Visor Prism better than my original greyscale Visor because the white backlight makes the screen easier to read than black on grey-green. The Prism was the first Handspring product to contain an internal, rechargeable Li-Ion battery; and my battery life has dropped over the last five years from weeks of standby / well over an hour of use to a couple of days of standby / a few minutes of use. 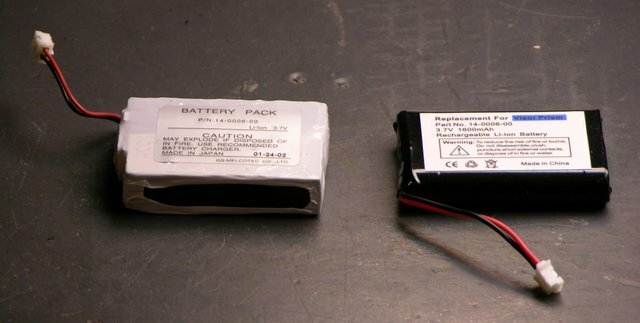 I found a replacement battery on eBay for $5.95 plus shipping from enessysales, whom I can heartily recommend. I bought and paid for my battery Thursday and received it tonight (Monday) via USPS. These folks are on the ball. Then gently pry apart the sides with a thumbnail. With the screen facing down, fold the Visor open on the right, with the speaker and battery leads trailing across. The battery is fastened to the back cover with double-stick foam; so pry it loose, then disconnect the plug. The replacement battery is smaller than the original, but at 1600 mAh, I believe higher capacity. The original battery is also now stuck to my desk with double-stick foam. Errrrr. Being only slightly smaller, the replacement really doesn’t have a lot of room to move, so a small bit of foam that stayed behind is plenty to hold it in place. There’s a small ridge of blue plastic just above the upper left corner of the battery. I had to poke the wires so they went to the left of it before I could close the case, after which reassembly was quite easy. 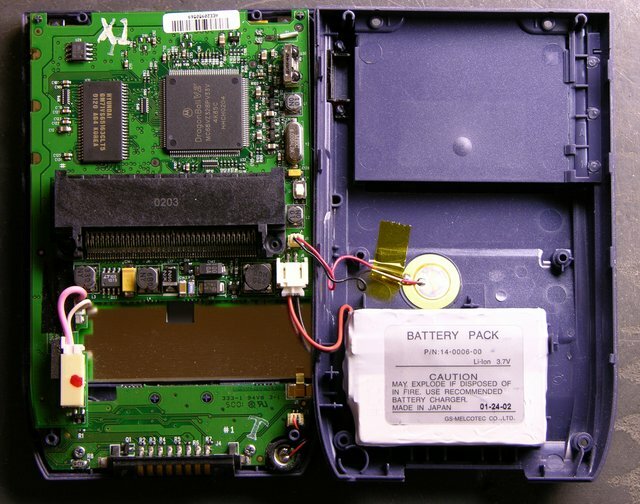 The original Visor and Visor Deluxe had small batteries inside to retain memory while you were replacing their AAA cells. 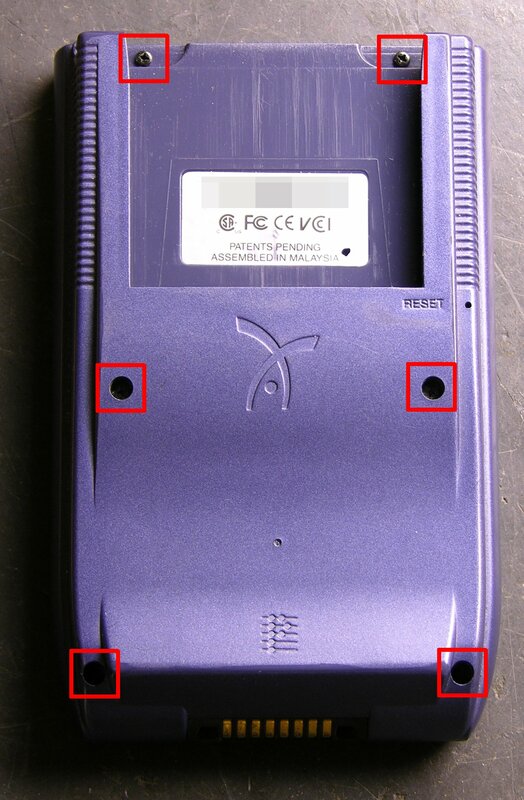 The Prism, having an internal rechargeable battery, apparently does not have a memory retention battery. After the replacement, it came up in touchscreen calibration mode, with date and other preferences unset and all my programs and data gone. And I’m looking forward to checking the new battery life. Update: All applications and data restored as expected. This is the back side of an aging SGI cluster that we host in our data center at work for the high-performance computing group. 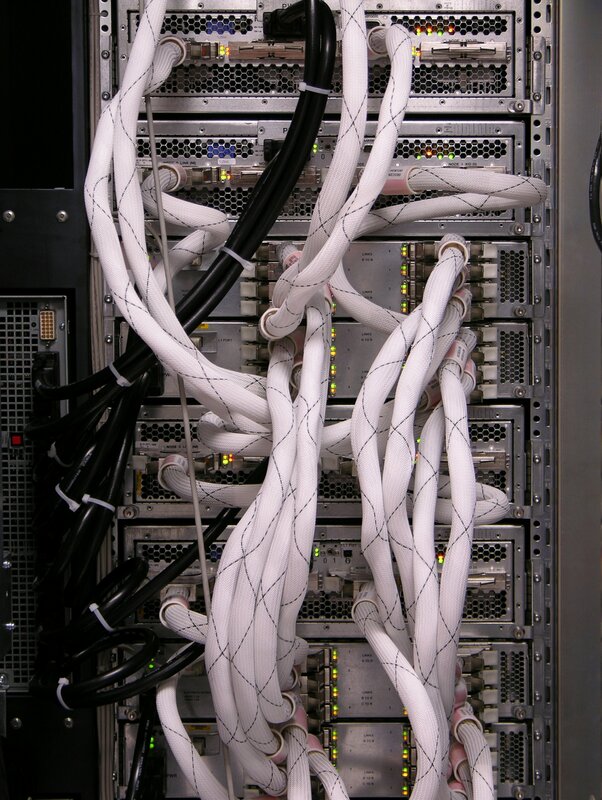 For a sense of scale, this is a 23″ rack, and that’s a grey CAT5 patch cord stretched down the left portion. The white cables are close to an inch thick. The fat cables with the beautiful, tough braided jackets seem almost synthetic-organic to me. They always make me think of Bishop after he’s been torn in half by the alien. My boss’s in-laws have some property in the country where they like to camp out on weekends, and they have a trailer parked there with propane heat for cold evenings. This summer or fall, my boss asked me whether I knew of a gas leak detector; his dad-in-law thinks the tank or plumbing is leaking, and they’d like to fix the leak before using it much this winter. I said that I didn’t know where to buy one and he could Google for them as easily as I could; but (only half tongue-in-cheek) that I could build him one. He said he needed it by this winter (harrumph!) and went on his way. I actually had an ace up my sleeve: I already have a box of flammable gas detectors. Now, I could loan him one of these, but they require 110VAC, they’re not safely packaged for mobile use, and they only give a binary output. So I figured I could reuse the sensor element from one and construct a tricorder handheld unit with analog (or at least more than binary) readout. I didn’t make any promises and haven’t mentioned that I’m pursuing this, so there’s no pressure. But once it occurred to me, it seemed like an interesting project; so here I go. Why draw out the whole schematic? Because I had no idea how the sensor element worked. I wasn’t rapt to know how some unknown manufacturer had designed an alarm circuit; I simply needed to know how to work the sensor. With no part number on it and no knowledge of the field of gas detection, the easiest method seemed to be to see what the original circuit did and make guesses about the sensor from there. In retrospect, everything I need to know about the sensor I could have figured out with my multimeter instead of figuring out the circuit rather than after figuring it out. But no harm done. I started by scanning the solder side of both boards into the GIMP and mirroring them to give me a top-side view. The power board is pretty simple, so I ran an edge-detection to emphasize the traces against the light-colored board, printed it, then highlighted the traces and hand-drew the components. It has a bridge rectifier with a floating LM341 that’s presently delivering ~15VDC, the buzzer, and 1.25VAC from a separate transformer secondary that gets added to DC V+ and sent on one pin to the sensor board. 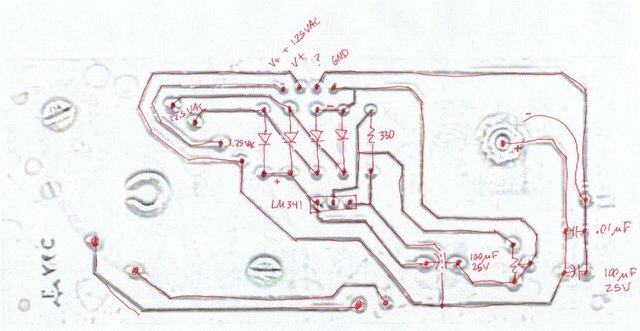 I then created an EAGLE schematic / board layout, adding and placing each component and then each trace, until my EAGLE copy matched the scan (more or less). And then it was just a matter of dragging the schematic around into a more logical configuration. The image compresses badly, so you’ll need to open that into a separate window if you’re interested in following along. In high-level terms, the sensor element (lower left) puts out some kind of voltage that runs through a bunch of comparators, and switches an NPN transistor that grounds the buzzer. Detect gas, make noise. But it took me a while to figure out why so darn many comparator stages are used. 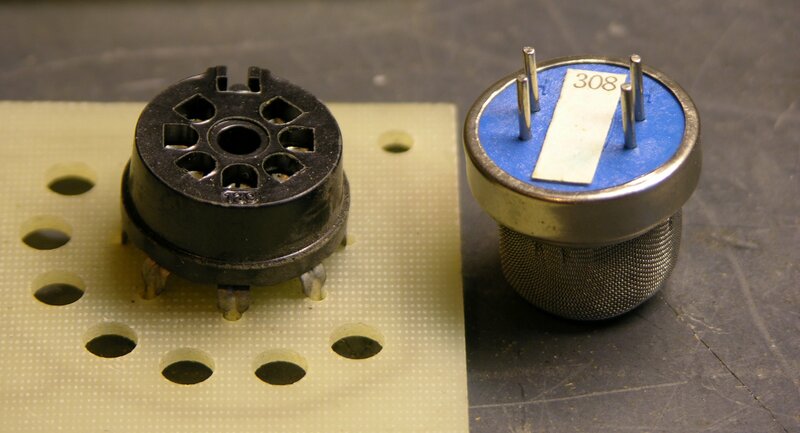 First, it’s worth remembering what the LM339 comparator does. 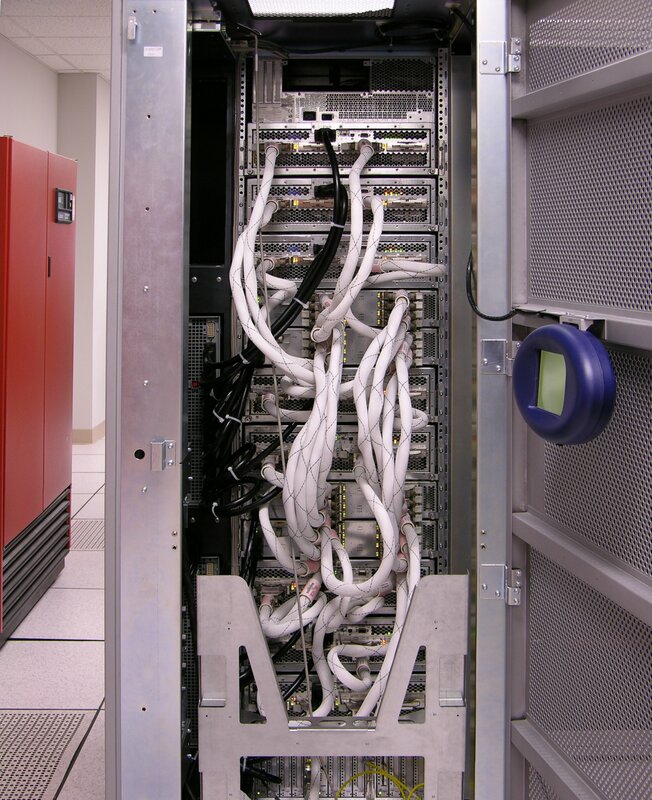 It has open-collector outputs, so you can tie its outputs together in a wire-AND (or active-low OR) configuration. If any output is low, the line goes low; if all outputs are high(-impedance), the pull-up resistor pulls the line high. This configuration is used twice in the circuit: In R15, IC1B, and IC1A; and in R6, IC1D, and IC1C. IC1A and IC1B can each pull down R15 and keep its high signal from getting through to Q1; likewise IC1C and IC1D can each pull down R6 and keep its high signal from getting through. 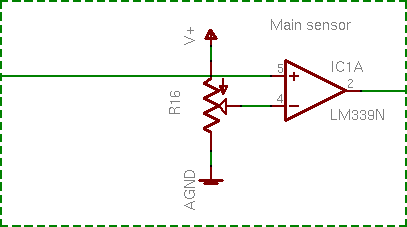 Diodes D3 and D5 perform diode OR logic: either one permits a high signal through to Q1, but a low signal is blocked and can’t pull down the other’s high signal. Now we just need to know what each comparator is doing. 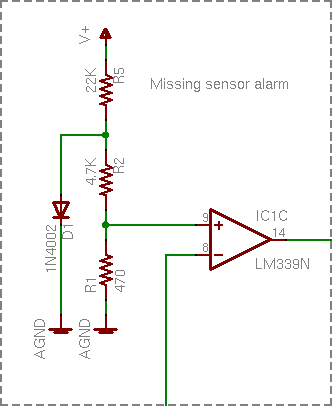 IC1A is simple: The sensor’s voltage is compared to an adjustable reference. This is the main action of the whole device. IC1B was the next one I figured out, although I didn’t have it quite right at first. Capacitor C2 charges through R12 and IC1B compares its voltage to a reference, so it’s a power-on delay. I wasn’t paying attention to how high R12′s resistance is (820kΩ), though, and I figured IC1B’s purpose was to keep the alarm from blatting when the power first comes on and before it stabilizes. That’s not quite it, which I’ll explain in a bit. Before I move on, note the entire signal chain of V+, R15, IC1B, LED2, IC1A, D5, and Q1 along the right edge of the full schematic. IC1B and IC1A can each ground R15 and prevent it from pulling up Q1′s base. IC1B also controls LED2, though. LED2′s cathode is grounded through either IC1A or Q1, so IC1A has no impact on LED2; but IC1B can pull down LED2′s anode. In English, LED2 indicates that the circuit is warmed up and ready to operate. I find this extremely elegant. 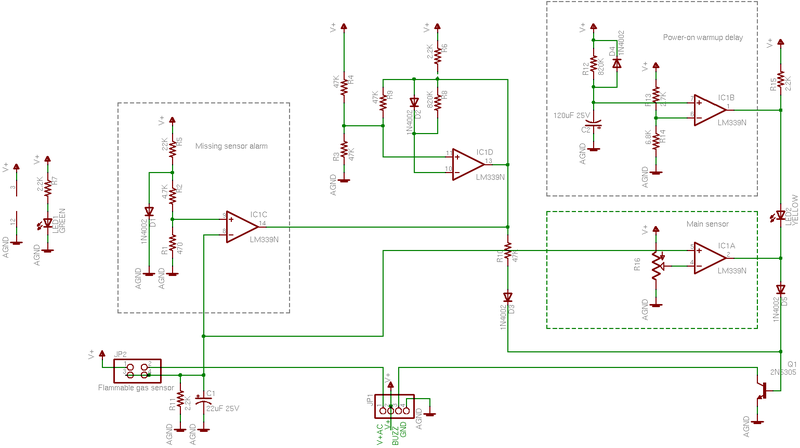 It’s not complicated; but in today’s world of cheap microcontrollers and FPGAs, I think clever thought has too often lost way to throwing lots of gates at a problem. IC1C’s voltage divider seemed a bit odd, but it’s just establishing a very low reference. 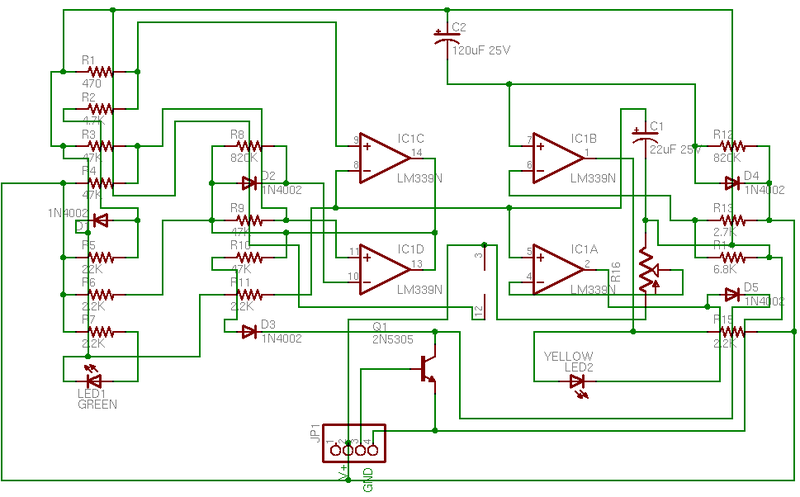 D1′s forward voltage is about .5V, and R2 – R1 divide that down to .05V. If this reference is higher than the sensor voltage, then trigger the alarm. Ahhh, it’s a missing sensor detector. The sensor is pluggable; if it got knocked loose, or broken, or maliciously removed, the alarm sounds a warning. Very nice. IC1D I still don’t get. Best I’m able to measure it in circuit, it appears to be oscillating around 1.3MHz at startup until IC1C pulls it low and shuts it down. I have no idea what it’s supposed to be doing. And yes, I’m fairly sure I drew its schematic right. So if the sensor element is missing (IC1C), the alarm sounds. Otherwise, once the circuit is warmed up (IC1B), a high enough voltage from the sensor (IC1A) sounds the alarm. Simple! And it still doesn’t tell me how the sensor works. Feh. 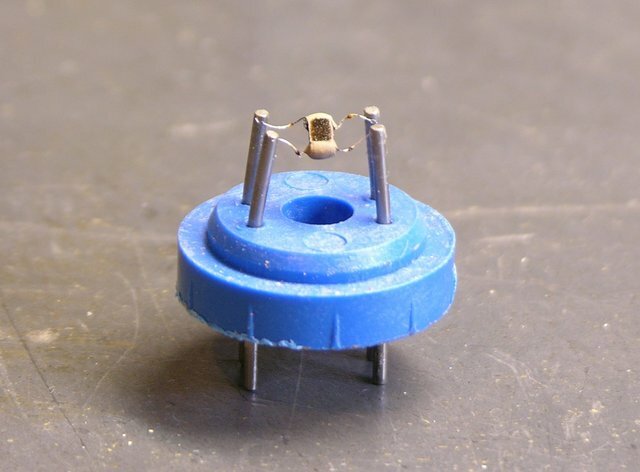 It’s not obvious from the aerial photograph of the whole board that the sensor has four pins in a rectangle, and that the socket has seven pins and the sensor can fit it in two different rotations. From the solder-side picture, though, the socket is wired such that (assuming the sensor is electrically symmetric) the sensor will be connected the same either way. So assume that the sensor is symmetric electrically as well as physically — that is, the pairs of pins are functionally interchangeable. Looking back at the board layout and tracing carefully, V+ and V+AC connect across one long side of the sensor’s pinout rectangle. 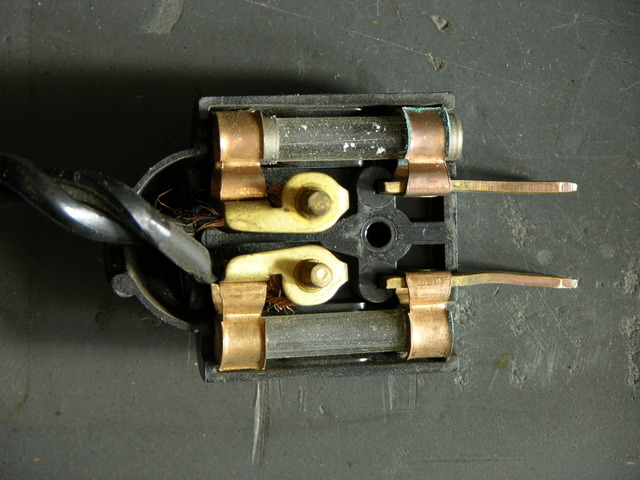 The other long side is wired directly together and functions as the output, connecting to R11 and C1 (both grounded) on the way. So: The sensor normally has a high resistance between its power pins and output pins; that resistance lowers when flammable gas is nearby, changing the sensor – R11 voltage divider and raising the voltage. 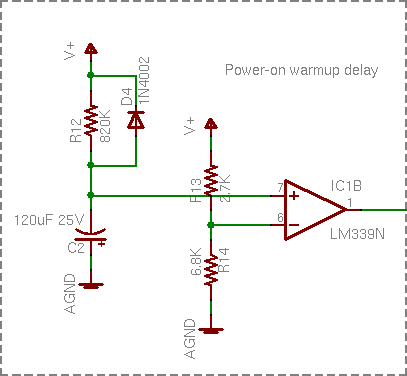 But why supply 15VDC + 1.25VAC to the power pins? I didn’t understand, so I cleaned the power supply board, insulated its 110V traces with electrical tape, plugged the circuit in, and took some measurements — and still didn’t get it. So I looked through my box for the sensor with the most-crushed windscreen and peeled it apart. And I searched for flammable gas sensors online, eventually finding this slide on catalytic sensors from an OSHA workshop titled What to Look for in Gas Detection and Measurement Instrumentation. It doesn’t match exactly, but the basic idea seems to be that you heat up a specially-coated thermistor bead; flammable gas oxidizes on it, heating it further; and you measure the change in resistance due to the increase in heat. And things start to make more sense. You heat the bead with a small amount of AC across pins 1 and 2, and you run that AC on a DC offset so you can more easily measure resistance changes between pins 1-2 and 3-4 by making it part of a much higher voltage DC voltage divider. I can deal with this. 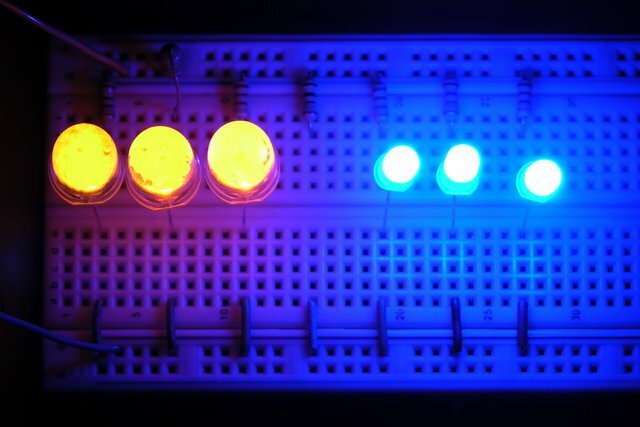 Running the open sensor in the live circuit shows that its bead heats up to about 160°F — and it takes about half a minute to warm up, hence the long delay from R12 – C2 – IC1B before turning on the yellow “ready” LED. (Not just a power-up delay, but a warmup delay.) The sensor also responds a lot more rapidly to approaching and dispersing gas with the windscreen removed. Finally, I measure each “long leg” of the sensor at 2Ω and I measure about half an amp flowing on the “heater” side. And that’s all I need to know about the sensor. That’s next. I’m not keen to build a biased AC supply into a handheld unit, but nor do I need to. I can heat the element with a high-frequency square wave; that simply means that the sensor output will also be a square wave, and I can deal with that by integrating the output or using a peak level detector (essentially the same thing). It takes about half a watt to heat the bead to 160°F, and that’ll drain a 9V battery fairly quickly with constant use, but I use rechargeables anyway. And I may find I don’t have to heat it quite that much. Where am I going to find a reasonable socket for the darn thing? I’d really prefer a nice rectangular configuration, instead of perpetuating the weird any-rotation-you-want of the original. You are currently browsing the Keith's Electronics Blog blog archives for November, 2007.